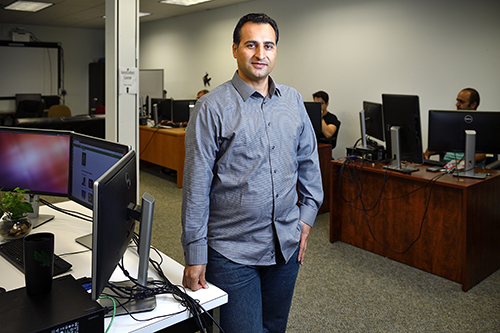 UNT College of Engineering Assistant Professor Hassan Takabi recently received more than $1 million in grants from the National Science Foundation. Takabi is designing his system to supplement access control systems. It won’t just lead malicious users to fake files; it will also allow them to be traced to their point of origin. Insider threats can then be identified and their access restricted. The second grant is for $499,581 and will be used to develop a set of instructional modules and hands-on lab exercises that will merge the study of data science and analytics with cybersecurity. This grant is in collaboration with Eduardo Blanco, also a faculty member in the UNT Department of Computer Science and Engineering.